Passed peacefully away in the presence of his loving family at the Health Sciences Centre on May 7, 2018, age 85. Predeceased by his son Paul (March, 2017). Left with fond and loving memories his wife of 63 years Emma (nee Raymond), daughters Christine Young (Charlie) and Michelle Maher (Larry), son David (Heather), grandchildren Jeffrey (Sara) and Jana Young; Caitlin and Melanie Maher, Ryan Harnett, 2 great grandchildren Joshua and Rachel Young; sister Mercedes Critch and many other relatives and friends. An exceptional business leader, active community partner and opportunity seeker; Mr. Harnett retired in the mid-1990s. 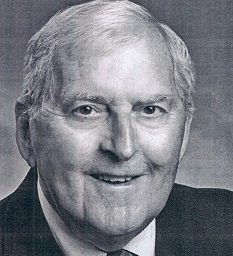 Throughout his career, Mr. Harnett was an active member of several boards, including the R.C. School Board, Newfoundland and Labrador Development Corporation, ACOA and APEC. Committed to community service Mr. Harnett was President of the Chamber of Commerce and Kinsmen Club, a Corner Brook City Councillor and President of the Newfoundland and Labrador Federation of Municipalities for two terms. He also served on the Royal Commission on Municipal Government for Newfoundland. In 2008, Mr. Harnett was inducted into the Business Hall of Fame. Cremation has taken place. Relatives and friends may visit the family at Carnell’s Funeral Home, 329 Freshwater Road on Thursday, May 17 from 4 – 9 pm. Funeral service will be held at the Carnell Memorial Chapel on Friday, May 18 at 2:00 pm. A reception will follow at Tiffany Village, 50 Tiffany Court. Donations in his memory may be made to the Health Care Foundation or the Heart and Stroke Foundation. Thinking of you and your family today during this difficult time. Keeping your wonderful memories within your heart today will help. Sincerest condolences to you and your extended family on the recent passing of Hubert. Your family certainly has had a difficult last year or so and countless others share in your grief and hold you close in our hearts. I had the good fortune to spend a lot of time at Highland Avenue growing up with Dave and yours was always a welcoming home and great place to hang out. Mr. Harnett, though small in physical stature, was a giant amongst us in many respects. He always had a kind word, showed interest in others and offered encouragement and wisdom. His family is a great tribute to him. His was a life well lived. We were so sorry to here that Hubert had passed . He was such a thoughtful and kind man…he will be missed. My sincere condolences on Hubert’s passing. I was fortunate enough to meet Hubert on the campaign trail at Tiffany’s last year and he was quite evidently, an engaged and caring community member. My thoughts and prayers are with you at this sad time. Emma, so very sorry to hear of Hubert’s passing. We have fun memories of time we spent with you both in Corner Brook, Frenchmans Cove and Florida. Sincere sympathy to you and your family. We were very saddened to hear of Hubert’s passing and send our regrets and sympathy of sorrow and our prayers are with you at this difficult time.We have fond memories of our long time friendship together in Newfoundland & Florida and may He rest in peace! Dear Emma and Family. We are deeply saddened by Hubert’s passing. Our phone calls, emails and Florida visits are fond memories in our hearts. 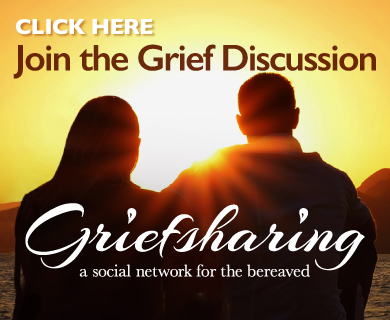 We grieve with you. God bless you and your family. To Emma, Christine, Michelle, Dave and grandchildren, I offer my sincere sympathy at this difficult time of Hubert’s death. May he rest in peace. I want to extend my sincerest condolences to all of you on Hubert’s passing. 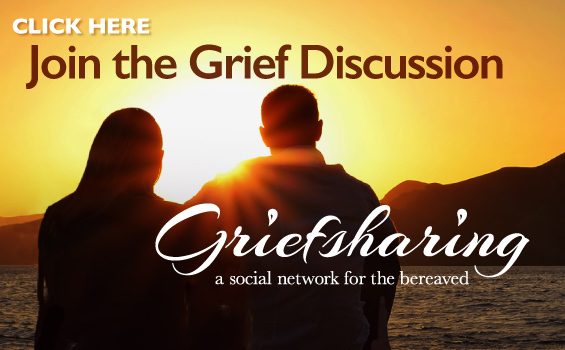 Your family has had a difficult time this past year or so and countless of us share your pain and grief. Mr. Harnett was a giant amongst men and always very considerate and kind. Growing up in Corner Brook, I spent a lot of time at your home and he always had words of wisdom, encouragement and interest. Besides being highly intelligent, he was a gentle man. His family is his lasting tribute. God bless him and God bless you all. Emma, Chris, Michelle, Dave and families. Sorry to hear of Hubert’s passing. He was a fine businessman and gentleman and a friend to many. I know from my long time relationship with your family that he was also a great husband, father, and grandfather. Cherish the many great memories. Sincerest sympathy on Hubert’s passing. May your beautiful memories bring some comfort as you find your way through this difficult time. Sending our love and condolences to Dave and Heather and the Harnett family at this very difficult time.Our thoughts and prayers are with you all,cherish all the great memories,RIP Mr.Harnett. Sincere sympathy on the passing of Hubert, My thoughts and prayers are with you at this sad time. So sorry to hear of Hubert’s passing. Growing up just down the street I had the good fortune of knowing your family since early childhood. I will always remember Hubert as being a very kind man who always had an encouraging word.May your great family memories help you through this difficult time. Sadden to hear of Uncel Hubert’s passing. Please know I am thinking of you all over the coming days. Sad to hear of Hubert’s passing,. Our families were close growing up, and we will have fond memories of him. Emma, Chris, Dave and Michelle, we are thinking of you, and your families, and of course, of Paul. Dave, & Heather, Michelle & Larry & family…condolences to you on the loss of your father. So sorry to hear of Hubert’s passing. Our thoughts and prayers are with you at this difficult time. Sorry to hear of Mr. Harnett’s passing. He was a kind man and my dad had great respect for him as a businessman and he was a good friend to him. Dear Emma and Family. We grieve with you. Hubert made our world a better place. His memories will remain forever. God Bless you. Sincere condolences to Emma and family. You are in our thoughts and prayers. knowing Hubert since we moved to Tiffany Village last year. even as he became very ill. Our thoughts and prayers are with you on this sad event. Dear Emma and Family. We are deeply sorry for the loss of your loving husband, father, grandfather and great grandfather. He has left a memorable foot print on this earth. Filled with accomplishments and loving memories. He is in Heaven now. Guiding your lives in thought and spirit. May God give you courage in the loving memories that he has left for you. God Bless. Love Marion [Haley], John Marcinov & Family. So sorry to hear of Uncle Hubert’s passing. Please accept my condolences. I know what you are all going through. Take care of one another. Dave, Michelle, Chris and Emma. So sorry to hear of Huberts passing.